Image credit: Yoga for Families of Addiction, Inc. This article turned out quite different than I originally intended. 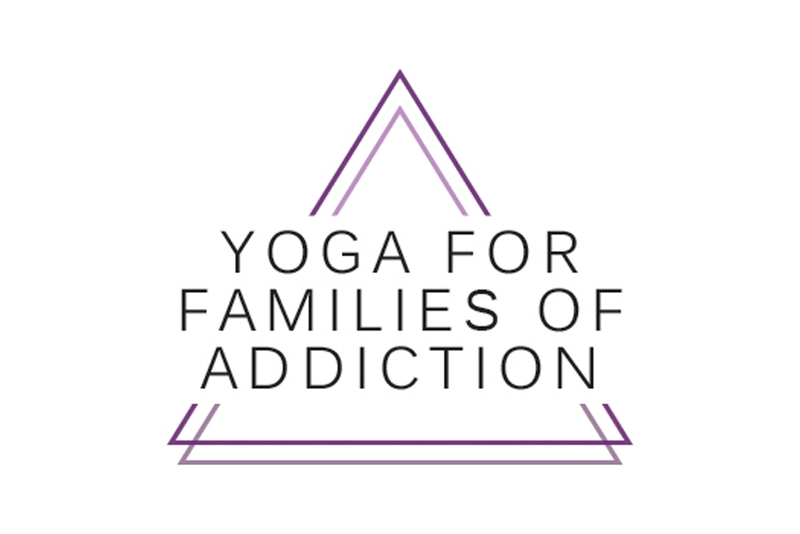 I sat down to tell a website full of Solo Moms about how I came to create Yoga for Families of Addiction, Inc. I was explaining the breakdown of my marriage with a narcissistic and abusive alcoholic, telling bits of my story and searching for the precise words to explain how terrifying and yet empowering it is to stand on your own two feet after experiencing domestic violence. As someone who is a domestic violence survivor, one of the smartest things I did during my divorce was to keep track of everything via the written word. I’m a writer, and I communicate more eloquently in writing than orally. I also realized that the sound of his voice screaming into the phone hurt my heart so much I couldn’t hear one more word: I needed to see them on the screen. The deepest part of my soul, the part that wasn’t speaking yet, said, Evidence. I kept thousands of messages (text, email, and otherwise) on my computer (and thank goodness they aren’t on my phone) on the off chance I would someday need them. (Unfortunately, I did, and I am so glad I saved each one, as painful as they are to see.) I saved them for various reasons, but mostly to remind me of what I overcame in the past few years. Every so often, I bump into the messages accidentally, as I did today, and it stirs something within me. I feel sadness for the girl I was during that time, pain in my trauma recovery, and empowerment as I now stand with my shoulders rolled back and my head held high. I started Yoga for Families of Addiction, Inc., on top of the brick-and-mortar yoga studio I own in Massachusetts. We are a 501(c)(3) organization that serves yoga and mindfulness to people whose loved ones suffer from addiction. Given the current opioid epidemic and my own personal story of loving an addict, I intuitively knew it was time to begin. It started one night at the Kripalu Center for Yoga and Health. A very good friend of mine was working there at the time, and although I wasn’t being entirely transparent on social media, everyone who knew me well knew something was off. I had just begun the divorce process, and I was lost in every aspect of the word. Although we hadn’t seen each other in years, she reached out and said, “I’m not sure what’s going on, but I know you need a vacation. I am gifting you a weekend to Kripalu.” I cried tears of joy, terror, and sadness. How could someone I hadn’t seen in years know what I needed so deeply? How could I leave my son for a weekend while I was busy obtaining restraining orders, running a business, and trying to keep us both afloat? How could I have gotten here, to my own personal rock bottom? It was the catalyst, the shift I never knew I needed. I went to Kripalu a week after I went to court. I went to Kripalu while codependent, even as I began dating again. I went to Kripalu and left my son for three days with my mama. (Thank you, Mom . . . always.) And I went to Kripalu to save my soul. When I arrived, I kept thinking, This is cute. It looks like a dorm in the middle of winter; I’m not sure what everyone is so jazzed about. I sat my stuff down on the bottom bunk in a room of six women and unpacked my journal and my favorite mala beads. I took them to a room made specifically for silence, and I began to write, daydreaming as I stared out the window. I thought, This is why they love it here. But that was only the beginning. Kripalu is home to thousands of yoga programs, an extensive curriculum, and teachers who will lead you from wherever you are. There are programs for grief and recovery, for love and intimacy, for reconnecting to your soul, and some just for drumming! It is a space where you get to embrace whatever you’d like and come out beaming from the inside out. Mine happened to be art, but the program was neither here nor there. What happened within was my catalyst. While I was in a mantra meditation with 300 other people, I had the idea for Yoga for Families of Addiction. It was as if I had been gifted the program. Ideas were flooding in faster than I could write them down, but the essence was this: we need a space where yoga and Al-Anon combine—a place where we can connect on what it means to love an addict and reconnect to our souls, minds, hearts, and breath with yoga. I knew in an instant this was what I was meant to do. Disregarding my busy plate, divorce, raising a toddler alone, and owning another business, I dove right in and began creating the moment I got back home. The organization will have its first gala fundraiser in November 2018. In the past year I have served women who lost sons to heroin, men who loved methadone-addicted fathers, sisters who loved their alcoholic fathers, and many more souls who love multiple addicts in their lives. Being the ex-wife of an alcoholic, the granddaughter of two alcoholics, and the daughter of a daddy who knew better and caught himself early, I know the ache an entire family feels. Denial, shame, fear, anger, sadness, joy, love—every emotion is felt when someone you love is in addiction. The addiction of loving an addict is something that our society is just starting to wake up to. In 2017, it was reported that 25 million Americans over the age of 12 are addicted to something. That’s almost 10% of the population. Every person who is in addiction is someone’s child, with a parent or parents, and friends and family members who love them deeply. The opioid crisis is just beginning to gain ground in the media. “The Truth About Opioids,” a public awareness campaign spearheaded by the Truth Initiative in collaboration with the Office of National Drug Control Policy and the Ad Council, is “focused on preventing and reducing the misuse of opioids among youth and young adults,” but it’s taken far too long for the veil to be lifted. I built this organization in order to serve our current world. I consider it part of my job to empower men and women alike to be honest in their respective journeys. It is OK if you love an addict. We can heal by sharing our journeys together. I promise you are not alone. Where have you found solace? Is there a nonprofit we should feature to help other Solo Moms? Photo credit: Yoga for Families of Addiction, Inc.